Here at BroadstairsLit, we are excited to announce our 2019 programme of events – featuring a dazzling array of personalities from comediennes to men of the cloth, radio stars and prize-winning chefs to one-time jailbirds. We kick off on January 27th at Broadstairs Pavilion when I shall be “in conversation” with actress and celebrity Helen Lederer. I have interviewed Helen several times before and she never fails to be hilarious. I shall be quizzing her about her time on celebrity Big Brother, her role in Absolutely Fabulous, her recent one-woman show and, as they say, much, much more. 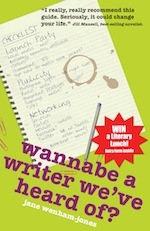 Come and meet Helen and get a signed copy of her entertaining novel Losing It (Pan). Group discounts available. Being in prison is the theme of not one, but two of our events this year. On the afternoon of Sunday May 19th, I shall be talking to Terry Waite, the former envoy to the Archbishop of Canterbury who spent 1,763 days in captivity – the first four years in solitary confinement. Terry is a remarkable, humbling man – when I last interviewed him on stage at Chipping Norton you could have heard the proverbial pin drop. I do recommend this chance to listen first-hand to his enthralling story. Captivity of a slightly different nature will be chief topic of conversation on November 3rd, when Jonathan Aitken comes to town. Mr Aitken was, of course, MP for South Thanet before his fall from grace and subsequent time doing porridge for his crime of perjury. But what an inspiration he has become, turning this episode into something so positive. Jonathan is now an ordained prison chaplain who works tirelessly to support those serving sentences and to encourage prison reform. Tickets – which once again include a cream tea and Prosecco – we do like our glasses of fizz here at BroadstairsLit – are already selling like hot cakes. Don’t leave it till winter to get yours!